While I love the idea of creating a great save-worthy promo piece for myself, sometimes (okay most of the time) I just need something done quickly and cheaply. 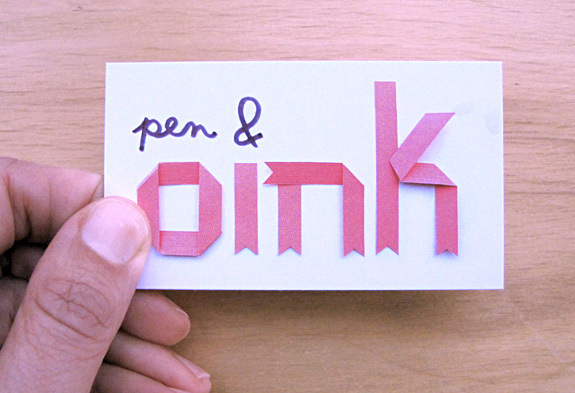 Liz has used and liked overnightprints.com so I tried them out for our Pen & Oink business cards. Their “premium” stock is nice and thick. Both of these services are easy to use and offer very inexpensive 4-color printing on many different items in addition to postcards and business cards. (Mouse pads! T-shirts! Pens!) In the case of Vistaprint, you actually have to wade through a few screens of add-on offers to get to the checkout but it’s only a minor nuisance. Both services also offer several options for turnaround, including next-day for more money. Another printing service I like is moo.com. I haven’t used them recently but I’ve been happy with the business cards I’ve printed with them in the past. They are unique in that they allow you to mix up your print run with different images. In other words you can print a different image on each card; if you print 100 business cards you can print 100 different images on them. They offer rush service as well. 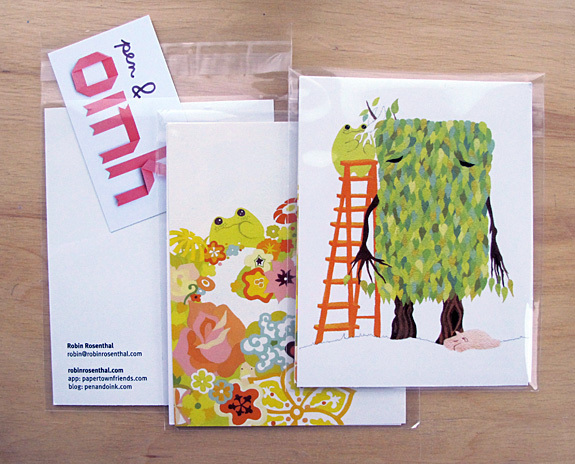 Moo.com also offers some cool size options and items to print on. I am actually looking at their site right now and I wish I had tried their “Luxe business cards” on uncoated Mohawk paper—that’s a great paper brand—with the optional “color seam” around the edge. Do you have any printing places you have been happy with? Let us know! *The GIGO rule applies here. (Garbage In, Garbage Out.) It’s important to make sure you are happy with the colors of the artwork in your file and the quality of the scan you upload so there are no surprises.